It is finally the end of winter. And for the team at BioGuard, that means it’s the end of many nights by the heater or in the spa, yearning for a sunny day by the pool. And maybe it’s wishful thinking, but all that warm weather dreaming helped us find our new favourite picturesque pools from around the world. 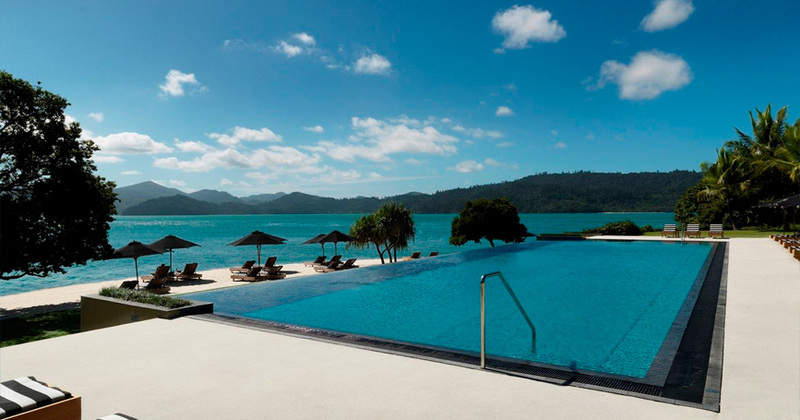 From Tibet to Hamilton Island, let us take you on a journey of pure pool envy. 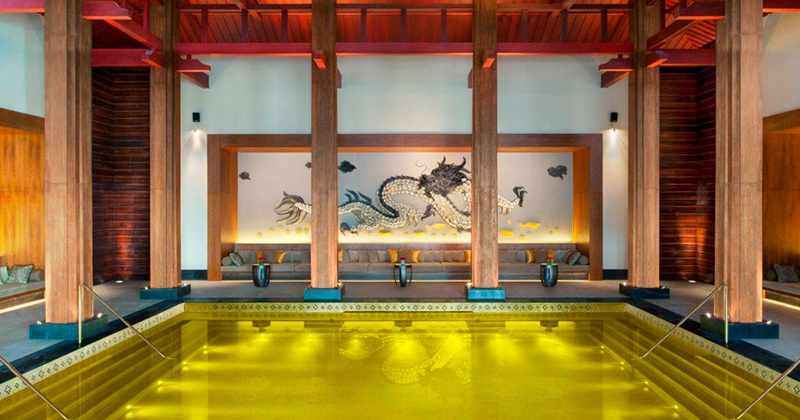 Located in the remote western peaks of China, this five-star resort boasts a six-star pool. Currently the only pool in the world that’s tiled with real gold, guests can enjoy a relaxing soak while surrounded by the majestic Himalayas. 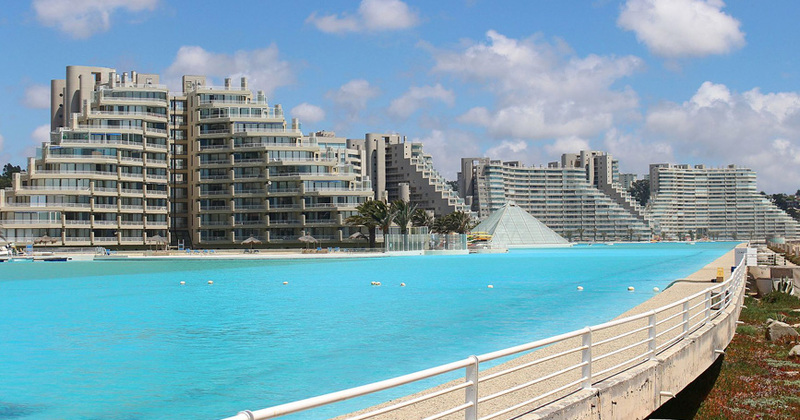 This enormous man-made pool – along the coastline of Algarrobo – is the largest pool in the world. Longer than 20 Olympic sized swimming pools, it holds more than 250,000,000 litres of water. Imagine the maintenance bills? 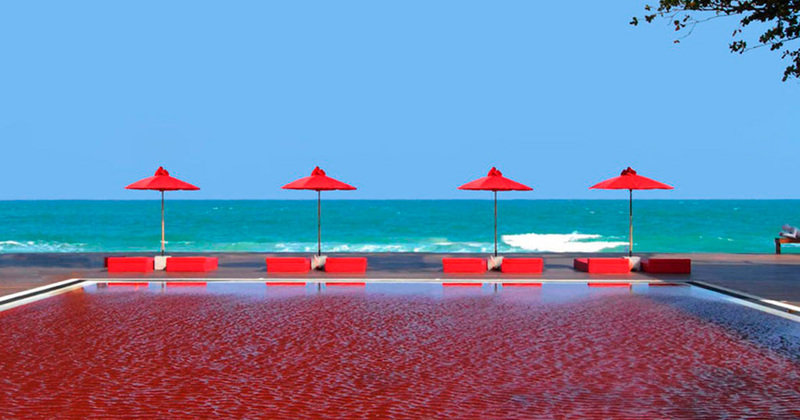 Although it might look a little off-putting, the red colour of this pool is – thankfully – not due to the colour of the water itself. Rather, the red and orange ceramic tiles that line the pool surface cause this vibrant hue. There’s something about Italian designers isn’t there? 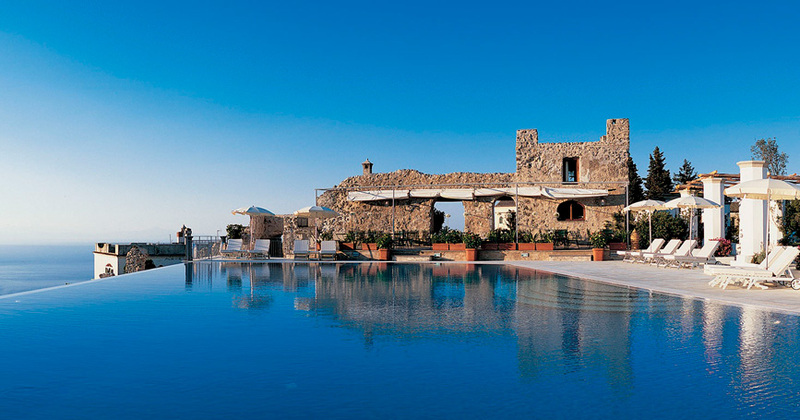 Overlooking the picturesque town of Ravello, these private infinity pools are seemingly suspended in the clouds. It would be impossible to spend too much time here – pure, unadulterated indulgence. 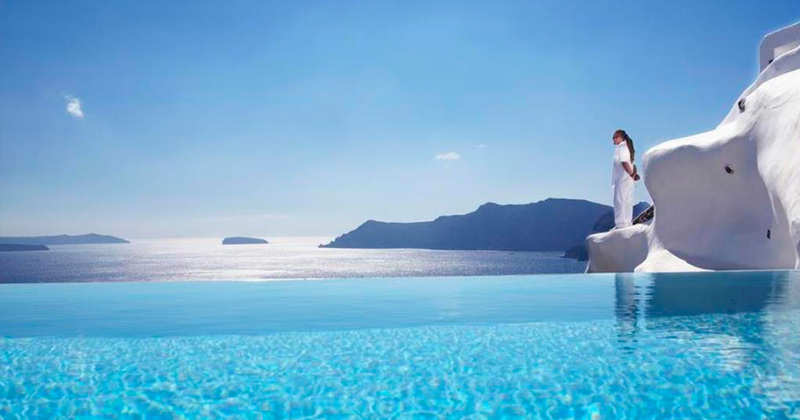 A small hotel, a bizarre design and a dedication to one of the most picturesque pools – The Katikies is the jewel in Santorini’s crown. Crystal-clear water and views of the sea make this the perfect place to relax and bath in the sun. Located at the northern tip of Hamilton Island, it’s the view of the Great Barrier Reef that makes Qualia one of the most desirable pools in Australia. Surrounded by 30 acres of manicured gardens and dotted with sun beds, this poolside retreat is simply unforgettable.